Lisa with her students Winter 2012 at Whychus Creek, during a fish conservation effort. I love spending time with friends and loved ones, along with meeting new people. Good company and conversation are among some of my favorite things. My favorite place to be is outdoors, and especially in the water; I love to swim, paddle, surf, scuba dive, and sail. Since moving to Bend, I’ve taken up cross-country skiing and mountain biking, and returned to some of my favorite Oregon pastimes, downhill skiing, hiking, and camping. I am an educator and research scientist. I work as an instructor at OSU Cascades and Central Oregon Community College, teaching courses in Natural Resources and Forest Resources and Technology, such as Introduction to Water Science and Policy, Integrated Watershed Management, and Recreational Resource Management. I have dedicated my career and education to balancing conservation and growth. I recently completed my PhD from the University of Florida, which investigated Collaborative Water Management in Oregon. I also have an MS from the University of Florida in Interdisciplinary Ecology; I explored tourism as a conservation and development strategy. My BS is from University of Oregon in Geography and Environmental Studies. I was raised in Eugene, Oregon, and am the only child of a single mother–an entrepreneur and small business owner. I grew up with a first hand knowledge of the financial challenges facing average Oregon families and small businesses. Although my single working mother struggled throughout the recession in the 80s, I was fortunate enough to have a first class public school education; I was part of very first graduating class of the Spanish Immersion program in Oregon. Additionally, I went to an international high school, which was a member of the International Baccalaureate Program, a world-wide affiliation of schools that promotes international standards of achievement. 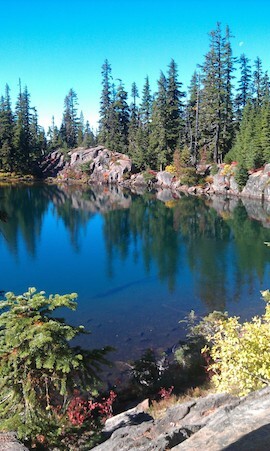 My early career was spent working as an Interpretive Specialist for the Bureau of Land Management at Loon Lake, and as a Program Director for an environmental education based non-profit in Eugene, Nearby Nature. In these positions, I developed and taught environmental curriculum to a wide array of difference audiences, aimed at increasing environmental literacy. During my off-season I traveled as much as possible. Throughout this time, one theme, finding a balance between conservation and growth/development, was reoccurring everywhere around the globe. My dedication to helping find that balance led me to graduate school, where I learned to be a scientist and a researcher; my passion for making the world a better place continued to direct my path in life. At the University of Florida, I was surrounded by faculty and students from around the globe who shared my same passion and dedication. As a National Science Foundation IGERT (Integrated Graduate Education Research Traineeship) Associate in a program that focused on the Adaptive Management of Wetlands, Water, and Watersheds, I worked with engineers, lawyers, social, and physical scientists, to analyze and address large-scale water management in places like the Florida Everglades and the Okavango Delta in Southern Africa. I learned the art of mediation, facilitation, and conflict resolution, along with how to collaborate in multi- or interdisciplinary team efforts aimed at solving some of the world’s most vexing problems. 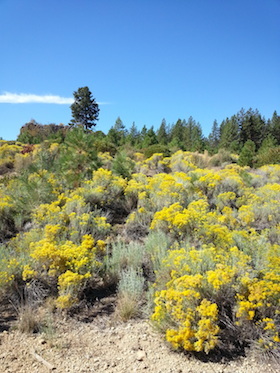 My own doctoral research landed me in Bend, Oregon, where I independently set out to investigate large-scale, collaborative water management and policy, occurring in the Deschutes Basin and the Willamette Basin. Exploring the links between state governance institutions, like the Oregon Watershed Enhancement Board, private funding agencies like the Bonneville Environmental Foundation and Meyers Memorial Trust, and local grassroots organization like the watershed councils, I investigated partnership building and innovative policies that help promote collaborative efforts. Now I would like to put all my experience, skills, and education to work for the City of Bend on the City Council. I will apply what I have learned to help preserve all the things we love about Bend, while planning for the growth and change rapidly occurring in our community. By applying my core values, such as public participation, transparency in government, and partnership building, I am confident that together we can create a prosperous, healthy community during these times of social and environmental change and into the future.